We are expecting. September 18th is the predicted day and we couldn’t be more excited! 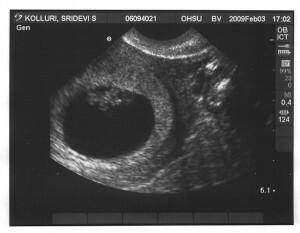 Right now, at about 8 weeks, the baby is about 1.5 cm long (tall?) and the heart is beating at about 150 beats per minute. Feeling lucky is an understatement!